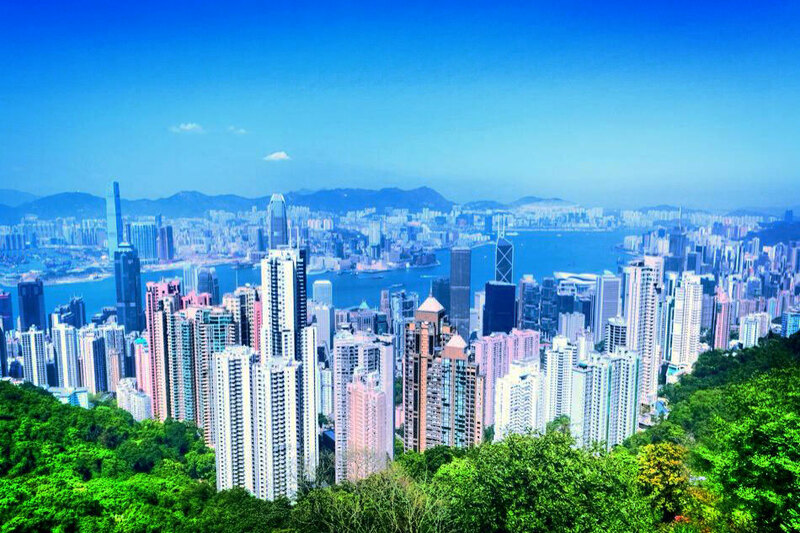 Rising up to 552 meters above sea level Victoria Peak (太平山) is the highest mountain on Hong Kong Island and one of its most memorable attractions. If you want to encapsulate and freeze Hong Kong into one memory, into one image, then the Victoria Peak is the best place to do that. Victoria Peak overlooks the Victoria harbor, skyscrapers, and greenery of the New Territories, offering spectacular views you will never forget. It is the most exclusive neighborhood in Hong Kong ever since colonial times. Most popular way to get to the Victoria Peak is by the Peak Tram (山頂纜車). Peak Tram is 1.4 kilometers long funicular railway in operation since 1888. Thanks to the interesting and long history and great views along the way, this traditional way of transportation is an attraction in its own right. Because it is often crowded, be prepared to wait in a queue more than half an hour, either way. For the best views stay at the right side on the uphill and at the left side on the downhill direction. Peak Tram operating from Peak Tram Lower Terminus (Central Metro station, Exit J2), from 7:00 to 00:00, every 10 to 15 minutes. Adult/Concession fare HK$28/HK$11 for a single and HK$40/HK$18 for a return ride. The ride takes about 10 minutes. The best way to visit Victoria Peak is to take the bus No. 15 on the way up and the Peak Tram on the way down. The bus takes the beautiful route that winds around the mountain, so you well get another perspective of Victoria Peak and Hong Kong Island. Views along the road are fantastic. You can also hike all the way to the Peak. Once on the Peak, you can enjoy magnificent views from the free observation deck in Peak Galleria, next to Peak Tower. There are souvenir stores, specialty shops, restaurants and coffee shops, but it is best to spend your time in leisure Peak Circle Walk around the Peak. This 3.5 kilometers long circuit trail begins near Peak Tower and follows Lugard Road and Harlech Road. Sunset and nighttime on the Peak are very beautiful too.